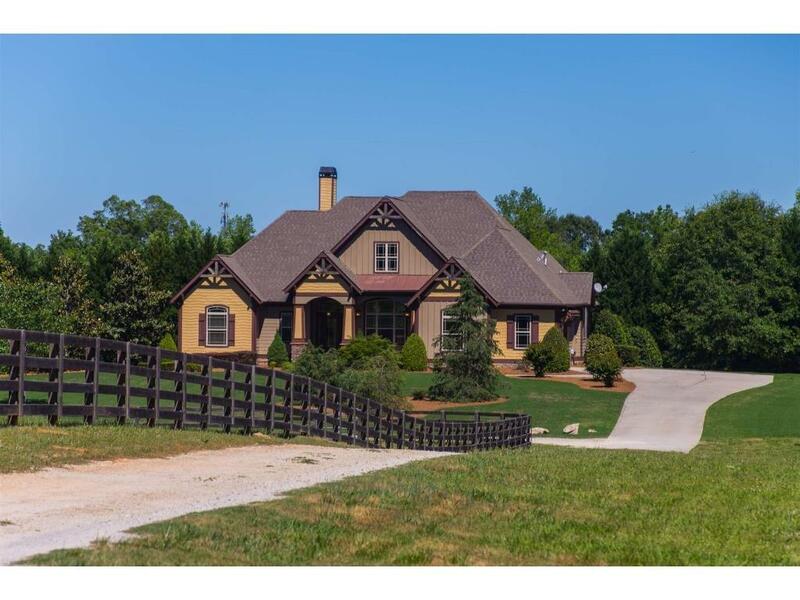 5 ACRE MINI FARM IN STARR'S MILL SCHOOL DISTRICT! ONE LEVEL CRAFTSMAN HOME WITH FULL FINISHED BASEMENT, SWIMMING POOL AND STABLE! Freshly painted interior in a light airy color palette, this custom home has high ceilings & an open floorplan with effortless flow for easy entertaining & convenient everyday living. The master suite is ideally located in one wing, while 3 guest bedrooms are in a secondary wing providing ultimate privacy! Designer kitchen has beautifully crafted cabinetry, granite counters, SS appliances! Directions: Take Quarters Road From Redwine Road Through Highgrove, Continue For About 1/2 Mile. Farm Is On Right. Or, From Ebenezer Road Take Quarters Road, Slight Right To Continue On Quarters Road. Farm Is On Left.